VaporFi is excited to now stock the highly technical line of vape products from the innovative brand, Vandy Vapes. It’ll be hard to find a copycat that puts out similar products or even the array of offerings as their team hit the ground running from day one. These masterfully engineered vape tanks and mods have been the talk of the town for their bold, unique qualities and superior craftsmanship. Each device is made with different uses in mind, and all are built for intelligent performance. Vandy Vapes was founded by Stefan Zhang and is headquartered in the famous Shenzhen city - China's version of Silicon Valley. Zhang is well-known for his engineering prowess, and this shines through in all of Vandy Vapes' products. They launched not too long ago in 2016, and have aggressively expanded their line. What is truly impressive is the craftsmanship of the devices Zhang and his team manufacture. You’d think that it would be hard to maintain their extreme dedication to building quality products with the massive growth of this brand, but Vandy Vapes has never placed the quality of their end product on the chopping block to make this happen. We mentioned superior build quality, and that means something totally different to vapers who rebuild their vape devices. Vandy Vapes rebuildable drippers and tank atomizers, like the Pulse 24 and Triple 28, show attention to detail like never before. From intuitive build decks that allow for easy and complex coils alike, all the way down to high-quality screws and O-rings, everything is designed and manufactured precisely to spec and will satisfy even the most technical vapers out there. Even though they meet these advanced needs, it doesn’t make them a bad pickup for new vapers. It might not be the best idea to pick up a dripper if you’ve never vaped e-liquid before, but now with options like pre-built vape coils, anyone can rebuild their device and experience the added flavor and vapor density. On top as some of the best craftsmanship, Vandy Vapes has some unique options when it comes colors and finishes. As seen with the Pulse BF Squonk vape mod, the potential for customization and personalization doesn’t stop at the finish options. Removable panels allow you to mix and match, or leave off for a look truly suited to you, while a built-in additional battery sleeve enables you to customize device functionality to match your vape style. 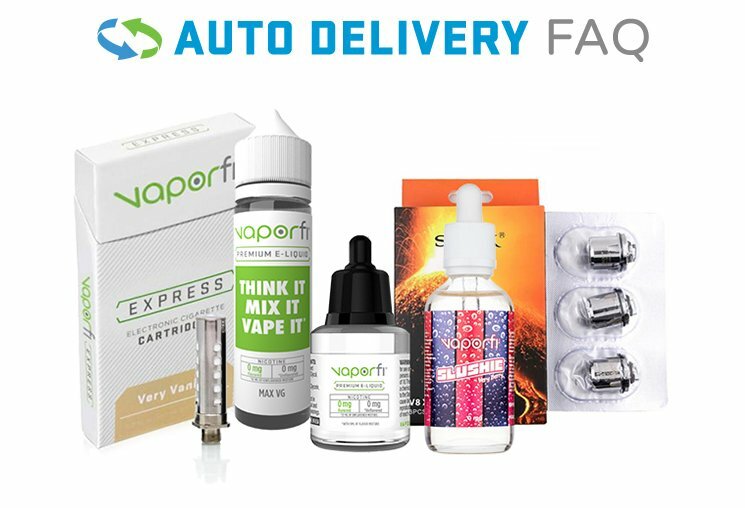 The amazing VaporFi Promise backs all of Vandy Vapes unique and well-made products available from us at VaporFi. This includes some fantastic options for consumer protection and even a loyalty program that has options for device upgrades when the time comes. Shop the full line of Vandy Vape tanks and mods available at VaporFi today! We guarantee you won’t find authentic products this cheap anywhere else!